Volvo began building cars in 1927. Shortly thereafter they began to deliver bare chassis to coachbuilders. Usually, the chassis had everything from the A pillar forward, and the coachbuilders created everything back of that. Volvo based ambulances, hearses, vans, pick-up trucks, etc., were a common sight in Sweden. In 1947, Volvo introduced the PV444. It was a uni-body car and not suitable for conversion. Not wanting to lose its lucrative commercial business, Volvo introduced the 445 in 1949. It used the PV444's front end (the grille was a little different), but it sat on a separate frame. It was successful. According to Volvo, there were, at one point, 70 different coachbuilding companies developing vehicles based on the 445. The PV445 pick-up was never officially offered in the US. However, I have read that it was possible for US dealers to special order one from Volvo. How many came to the US that way is unknown. Many of the 445 pick-ups had flat beds, often built of wood. 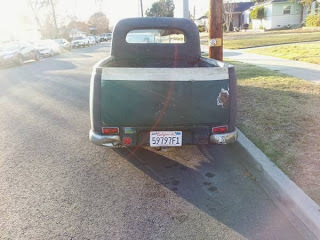 This one has a real pick-up truck style bed. 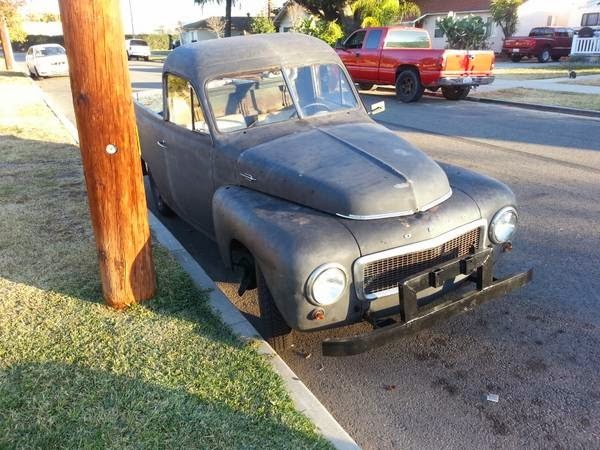 The seller seems to say that it was built at the Volvo factory. 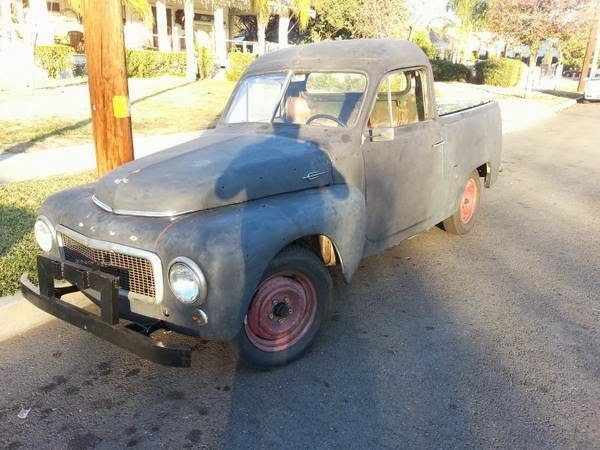 I can't find any reference to an in-house Volvo pick up, but it's possible, as it looks well done and possibly based on a complete Duett body. Whether it was built by Volvo or a coachbuilder really doesn't matter. It looks great. This 445 pick-up truck is in need of restoration, but is by no means a basket case. It now has a later Volvo engine and transmission in it. This is essential for modern driving, as the original engine and transmission are almost useless on the highway. The body looks fairly straight and rust free. The asking price is $7500.00. 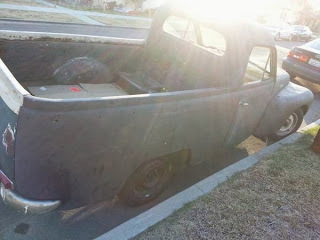 Unless you do all the work yourself, it will take at least that much to make this pick-up presentable. But, when you're finished, you will have a very nice, very rare - especially if it is a factory built pick-up - piece of Volvo history. If I had the extra time, money, and space, I'd scoop this up in a heartbeat. A big thanks to Jon for sending me this link! 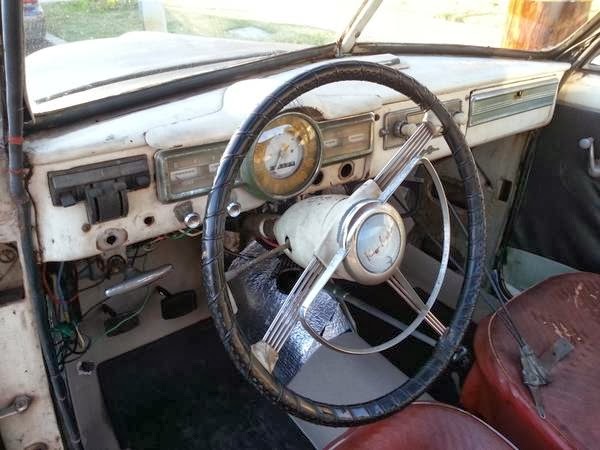 Price is crazy for what it is - This coming from a current Duett owner.